Back in December four up and coming pastry chefs were put to the test as they competed in the second edition of the Cafe Gourmand contest. 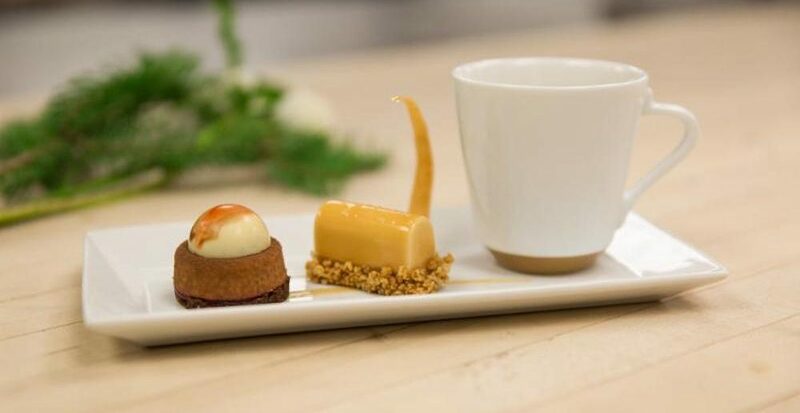 Presented by Nespresso and held at the Institut de l’Hotellerie et Tourisme du Quebec (ITHQ), the contestants were required to create unique coffee pairings with two creative mignardaise (bite size confections) and do it all in less than three hours. 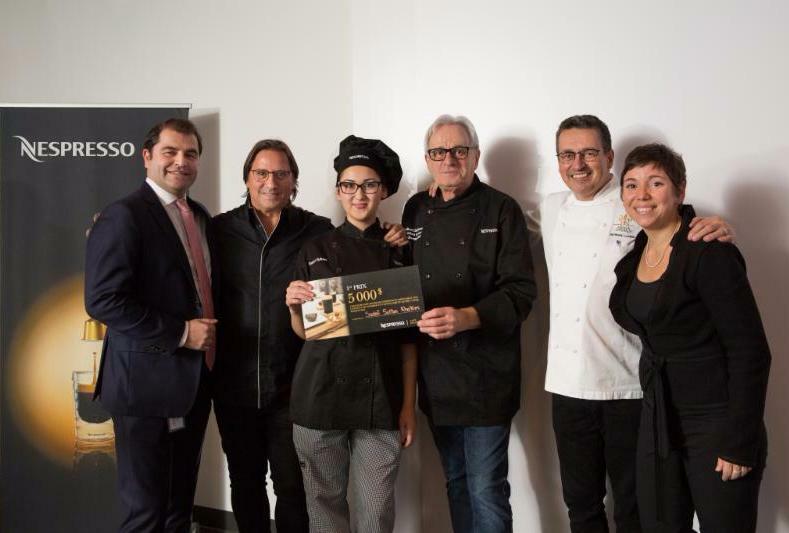 The winner, St. Hubert native Sadaf Sultan Khakim impressed the judges with her offering of a coffee flavoured dessert composed of cocoa strudel with hazelnuts, raspberry jelly and long pepper with a chocolate-coffee mousse. She named the dessert Choc Café. For her second dessert she created le Douce Bûchette, a buckwheat honey cookie, pears sautéed with Sichuan pepper, caramel mousse, fleur de sel and a honey buckwheat crumble. Both desserts were paired with Nespresso Grand Cru Lungo Original Guatemala. The four pastry chefs were guided with the help of Nespresso’s coffee sommelier, Élyse Lambert who, during a training session, mentored the contestants by sharing her knowledge on how to harmonize the various aspects and aromatic profiles of Nespresso Grand Cru coffees. Khakim walked away with the grand prize of $5,000.00 and from January 28th to February 18th we can sample her desserts at several of Montreal and Quebec City’s finest restaurants. Here in Montreal her desserts will be featured at Nespresso’s boutique cafe on Crescent, Le Renoir at the Sofitel Hotel, le Beaver Hall, Vallier bistro and Brasserie T.
To learn a little more about Nespresso’s Grand Cru coffees, visit their website here.